To visit Corfu is to step into a story. With a friendly population, breathtaking scenery and proud cultural history, it will be one you'll want to revisit time and time again. 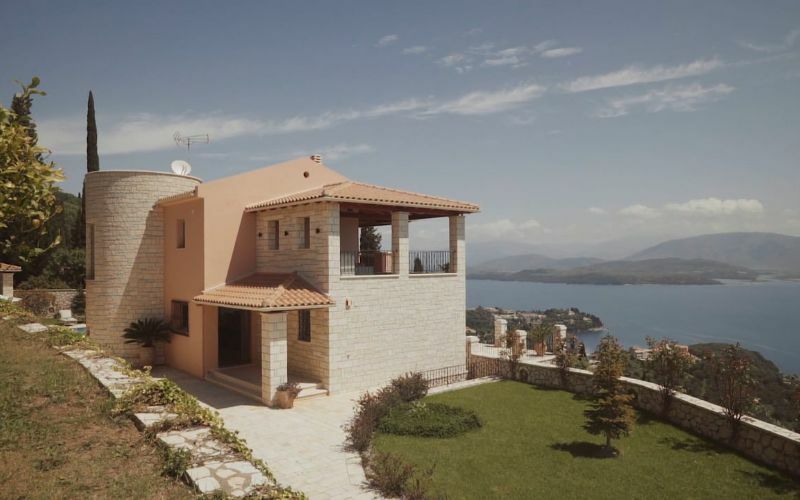 Visit the island of Corfu and you will take pleasure in all that surrounds you; saturated colors, warm breeze, wooded hills and sparkling coves. 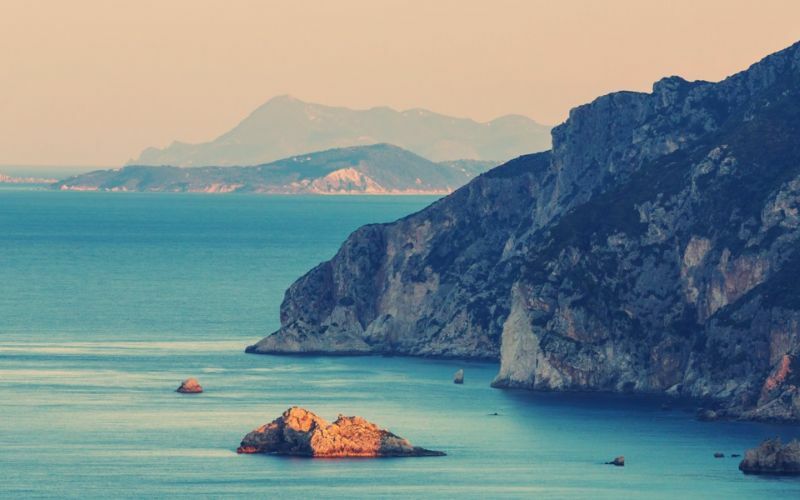 Placed between the west coast of Greece and the heel of Italy, Corfu shares a mythic connection to the sea that is reflected in its history. Named after the Greek nymph Korkyra, the daughter of a river god who was brought to the island by a love-struck Poseidon. You can expect to be immersed in the majesty of the islands past, with ancient temples and towns influencing the unique and beautiful environment. Here you can find total relaxation. 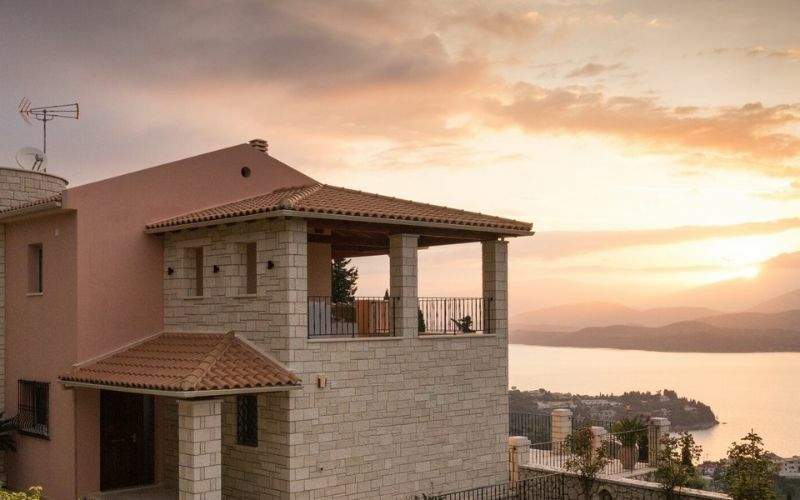 Listen to the waves on flawless beaches, wander around Kalami town enjoying the seasonal festivals, soak in the authentic Corfu culture, enjoy a scenic walk around the picturesque harbors, hidden bays and traditional taverns, or take a boat tour and explore the North East of the island. One of the best parts of the island? 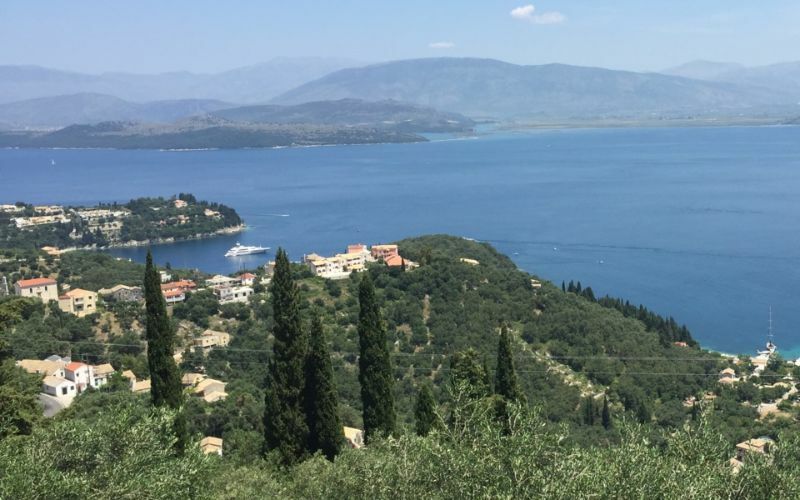 Dominated by local produce, Corfu offers some of the best food found in the Mediterranean. Villages and farms glimmer with olive groves and interesting cheeses. Not to mention the waters are filled with an abundance of seafood. 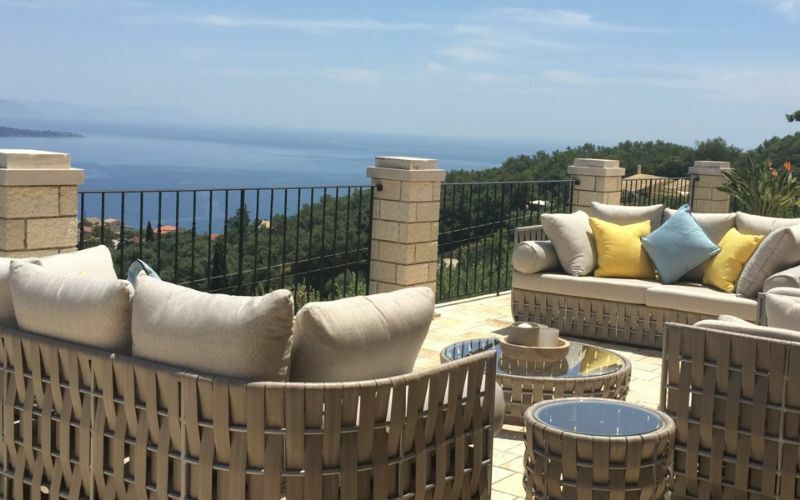 The unspoiled, picture-perfect island of Corfu leaves a lasting impression with its guests heightening their happiness, enjoyment and balance in life. Blue skies and sunshine dominate the islands forecast most of the year. Winter, from December to mid-March is quite mild with more rain however, there is still a moderate amount of sunny days to enjoy. Spring begins, and fine weather becomes more and more frequent. May is one of the best months to visit, before the summer heat. Though the summer months prove hot, luckily, sea breezes blow frequently providing relief and comfort. Rainfall 3.9 in. 5.5 in. 3.5 in. 2.8 in. 1.6 in. 0.8 in. Rainfall 0.4 in. 1.6 in. 1.6 in. 4.7 in. 8.3 in. 5.5 in.